We’ve all experienced those days where an ongoing pain in the head just throws all our plans out the window. And you know what? Sometimes, painkillers aren’t going to cut it, especially if that ache is caused by tension. What you need is to relax your body and mind, and one of the best ways to do that is with a simple self-massage for your headache. When you’re suffering from head pain, located beneath that strong, protective skull of yours, you must be wondering how does a massage, a technique that works on muscle and tissue help? In fact, the reason is quite simple. Your brain is the communication center of your body, it’s where nerves start and end, and that means it’s well-connected to almost every other single area of you. 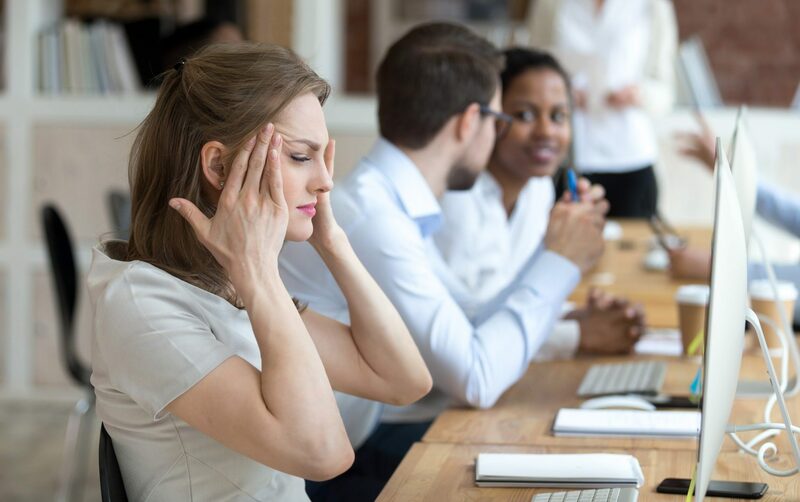 Tension headaches are caused by a tightness in the muscles and nerves of your neck, shoulders, and head, although the effect that seeps into other parts of your body. This is usually caused by psychological factors, such as anxiety, depression, or stress, or even by physical ones such as an injury. Once these muscles have tensed, it can be extremely difficult to release them with positive thinking and painkillers alone, and this is precisely where self-massage for tension headache comes in. This type of massage works as it relies only on you, your brain, and a quiet space. By tensing and releasing specific muscles groups in a controlled way, you can begin to relax and cut your vulnerability to tension headaches. Before you start, it’s important to note that their true potential will not be recognized straightaway, although you can expect some short-term relief. However, as you practice each day, your tension headaches will reduce and become less likely to return. 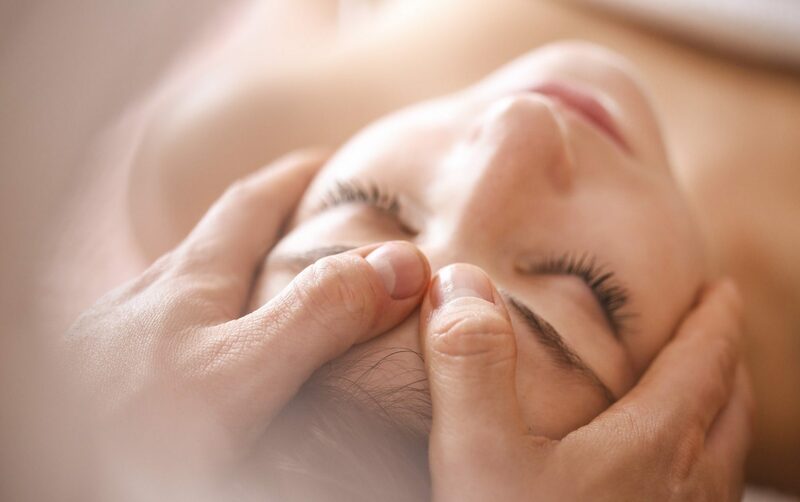 So, let’s get going and find out how massage for headaches can help. You do your best work when you’re in an environment that makes you comfortable; the same goes for your massage. It is essential to create the mood and conditions to put you in the right frame of mind to relax. Ensure your body is adequately hydrated before you start by drinking a fresh glass of water. Occasionally, such headaches occur because we’re not treating ourselves right, so best start things off on the right foot and hydrate. Now, it’s time to get down to business; lie down on your bed in a quite lowly lit room, somewhere you feel comfortable. Ensure you have enough time to relax; massage works best if you set time aside to do it. Time to set the mood. Start by playing some soothing music, the style is up to you, and then focus all your concentration on yourself and your body. Put aside outside distractions, worries, and concerns; focusing only here and now. This technique focuses on the head and neck, allowing you to release tension from vital key points on your body. The first step in this technique is to grab a light cream and massage it into your hands, allowing just enough for smoothness of movement for the following exercises. Taking your index and second fingers, start to gently massage your temples, apply just enough pressure that you can feel it but not so much that it causes you pain. Next, move that focus to your neck and the back of your head and use your index, second and third fingers to apply pressure. Make both circular and up and down movements in combination on your neck to release tension. Remember, you should feel a little pressure, but this should not be painful. The activity focuses on reducing overall muscle and nerve tension that stress brings to your body, returning it back to its natural balance and calm. Lying on the bed (or another comfortable surface), close your eyes and take a deep breath in, hold for 3-4 seconds and breathe out. Repeat 4-5 times until you feel yourself start to relax. Continue this throughout this exercise. it is time to move on to the massage. Starting with your head and neck. As you breathe in tilt your chin upward and head backward, you should feel a tenseness in your neck. Hold for 3-4 seconds and release, repeat twice. Next, let’s move on to your shoulders, breathing in lift your shoulders up toward your ears. Hold and release. Repeat twice. Follow the same pattern with your chest. Push your shoulder blades back and open up your chest. Hold, release and repeat the exercise. Moving on your arms and hands, clench your fists tightly, tensing your hand and arm muscles. This will make your arms feel lighter and your body less tense. Finally, let’s focus on your legs, they might be far from your head, but that tightness can travel. Like with your arms, tense those legs and feet for 3-4 seconds before releasing and repeating. Once you have finished the technique, your body should feel lighter and much less tense. If your headache is particularly intense, lasts over a couple of days, or returns at regular intervals, consult your doctor to rule out any underlying cause, such as migraines, which may require alternative treatment methods.